It's a cold and snowy day on Davidsons Mesa on the southeast portion of Boulder. Davidson Mesa which is know for its commanding view of Boulder and the Flatirons holds no such view on this day. 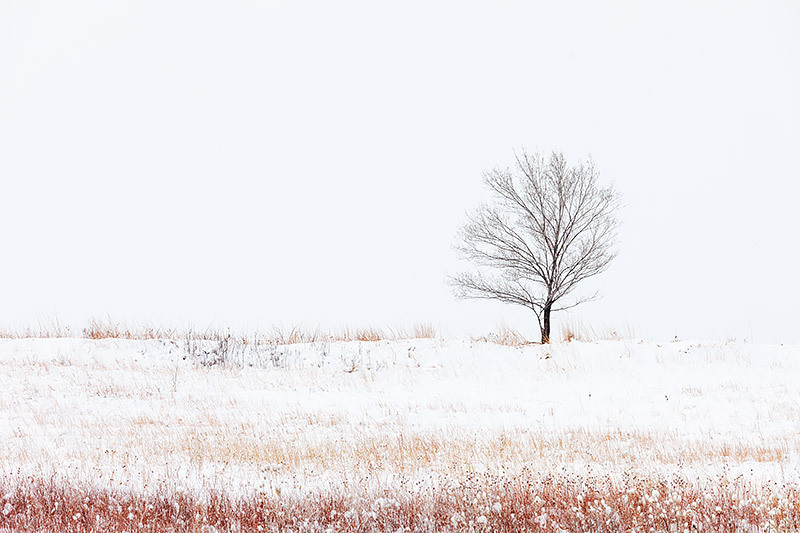 Here a lone wind blown tree watches over the remnants of the previous years flora which now adds color to the snow covered landscape. Photo © copyright by Thomas Mangan.